Where: In gentle countryside near Crewe. 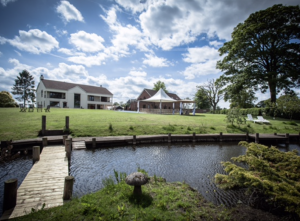 Buddileigh Farm is close to the M6 – but a world away. 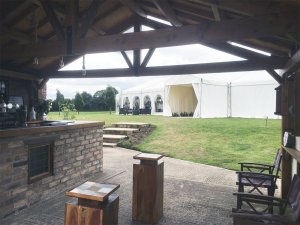 What: A superb marquee will be built (just for you) in the landscaped gardens of the farm, which has a small lake, lawns, a covered bar area, good parking. 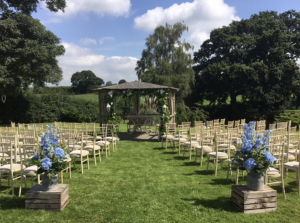 Weddings: Licenced for weddings in a little pavilion on the gently sloping lawns overlooking the lake. Who: Carol owns the place and will look after you. Call her on 07786 062101… you’ll like her.